Wood fire eatery featuring custom cocktails, salads, small plates, pizza and more. 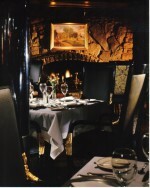 Hailed by the Wall Street Journal as Providence’s legendary mecca for sophisticated, candlelight dining and fine wines. International cuisine with a Northern Italian accent.